Best laptop under 30000 - buy the best lightweight traveller laptops from Flipkart. Price starts from 12,999 only. You will get the best laptops from various best companies like Apple, Dell, Hp, Lenovo and more. You will get free delivery and different range of EMI options to make your deal better. No coupons required, go shopping now!! If your work and travel together, then you should choose a laptop which proves to be your travel and work buddy at the same time. Therefore, choosing a laptop for traveling takes a lot of time and energy, as certain precursors should be met. You focus on certain specifications and features of a laptop according to your requirements. For instance, if you’re a student and looking for a laptop, then you might look for a laptop that helps you with your projects and assignments. Similarly, if you are looking for a laptop that is suitable for gaming, then the features and the specifications you look for, might be different. While searching for a laptop, considerations differ from person to person. Here, we will provide you with a guide that will help you choose the right laptop. Here is a list of features that should be considered before buying a laptop for traveling. Weight: Less luggage, more comfort makes travel a pleasure. The weight of a laptop is one of the major concerns. Always look for a lightweight laptop that does not drag you down while trekking or moving from one place to another. A slim laptop tends to weigh less and takes up less space in a backpack. The ideal weight of the travel laptops ranges between 1-1.8 Kgs. Size: While laptops with larger screens may be ideal for watching films, but can be troublesome when it comes to traveling. To keep your travels comfortable and smooth, always choose a 10-inch laptop or an 11-inch laptop. Battery Life: if you are traveling and working, then you cannot depend on a power cord every now and then. Thus, choose a laptop with a long battery life to get the most out of your travels. Storage Capacity: Travel laptops may lack sufficient space. 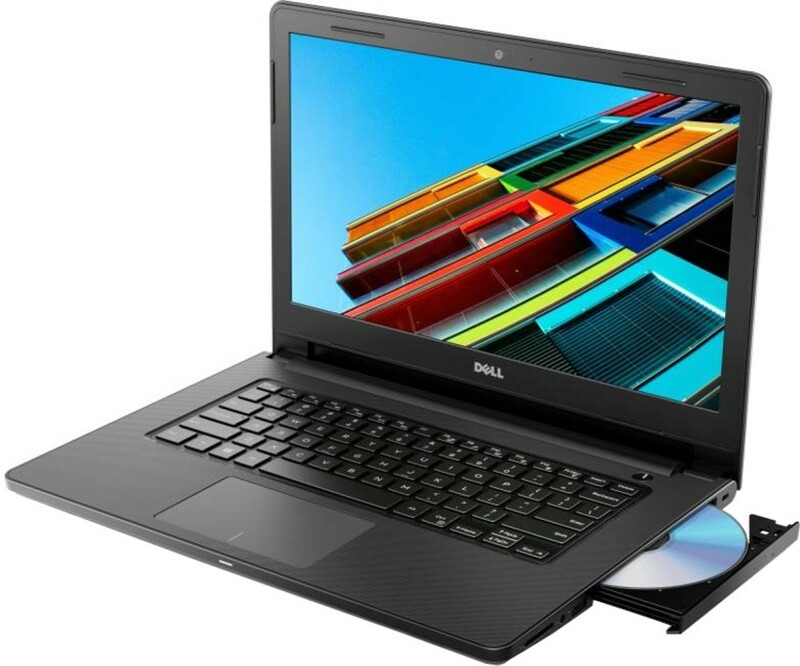 Lightweight laptops include at most 500GB HDD or 128/256GB SSD. Compact and lightweight models will have less space but you can use the portable hard drive for extra storage. 2-in-1: Considering flexibility and comfort, you can invest in a 2-in-1 model. 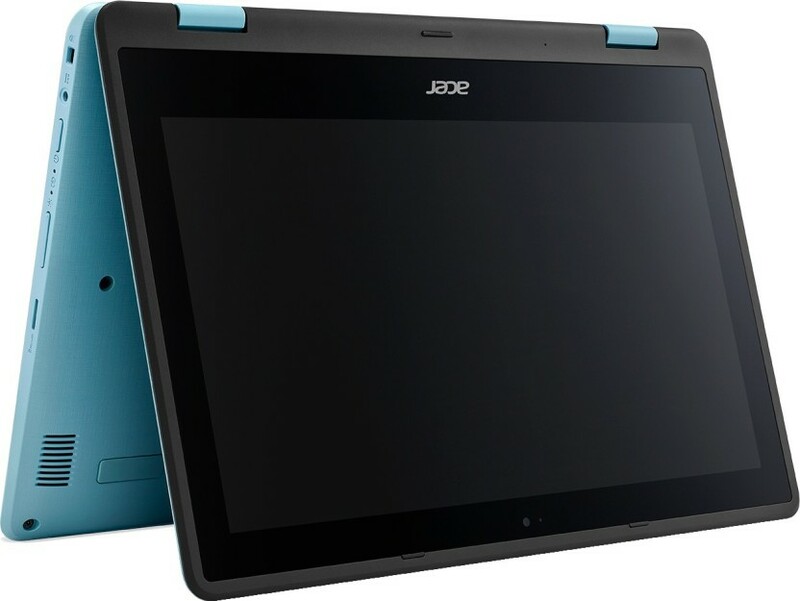 This will function as a traditional clamshell model and as a tablet. Price and Offers: The actual price of Micromax Lapbook Atom L1161 Laptop is Rs.14,999. Amazon is offering a discount of 40% which makes you save Rs.6,009. Therefore, the final price of the product is Rs.8,990. Micromax Lapbook Atom 11.6-inch, a sleek and lightweight design, offers you an uninterrupted multitasking experience. It comes with an Intel Atom Z3735F processor, 11.6-inch HD (1366x768) display, and Windows 10 Home operating system. Windows 10 (64-bit) can run on a PC with 2 GB RAM, but it runs better with 4 GB. For better performance, you can add more memory. The average battery of this laptop is 11 hours. The weight of Micromax Lapbook Atom is 1.3 Kg which is way too light and can fit in a backpack easily. It offers 2GB DDR3 for memory and multitasking that is also backed by 32 GB hard disk drive to store all the required data. It comes with a 1-year warranty on device and 6 months on accessories. The Intel Quad-Core Processor (up to 1.83GHz) along with the Dual Speakers adds to the features of this sleek laptop. Price and offers: The actual price of the laptop is Rs.31,572. Flipkart is offering a 30% discount which makes you save Rs. 9582. You can also get extra Rs.60,00 discount. The final price of the product is Rs. 21,990. No cost EMI with Rs. 3665 per month. You can get a 10% discount with HDFC Bank Debit and Credit Cards. You can get extra Rs.2,500 off with HDFC Bank Debit/Credit and EMI transactions. 10% Cashback on payments through PhonePe. Get an extra 5% off with Axis Bank Buzz Credit Card. HP 14q Core i3 7th Gen is a thin, stylish and portable laptop that comes with an Intel Core i3 7th Gen processor. It weighs about 1.47 Kg that makes it quite convenient for one to carry it around. This laptop has 1 TB hard disk and 4GB of DDR4 RAM that provides you more than what you basically need for all your data. 1 year onsite and domestic warranty. Only manufacturing defects are covered in the warranty. Physical defects are not covered in the warranty. HP 14q Core i3 comes with HP TrueVision HD Webcam and an island-style backlit keyboard. Moreover, it has a 35.56-centimetre (14-inch) BrightView HD Screen (720p) that helps you indulge in your favourite movies, videos or in games in crystal-clear picture-quality. Price and Offers: The actual price of the laptop is Rs.53,990. Flipkart is offering a discount of 25% which makes you save Rs. 14000. Therefore, the final price of the laptop is RS. 39,990. No cost EMI with Rs.6,665 per month. Additionally, you get a 10% discount with HDFC Bank debit/credit and EMI transactions. PhonePe is offering 10% cashback on payments. Asus Vivobook S14 provides you with boundless productivity. It's a package of gorgeous design and performance with an overall weight of up to 1.4 Kg. This laptop which may seem small and compact, is powered by an Intel i3 processor that comes with 128GB SSD and 8GB of RAM to deliver an unbeatable performance. Physical damages are not covered in the warranty. Asus Vivobook S14 is a lightweight laptop and does not have a touchscreen but the NanoEdge design of this laptop features a splendid 77% screen-to-body ratio that gives you an immersive viewing experience. Moreover, this display comes with an anti-glare coating. It is important to have a good connectivity and this laptop features a USB 3.1 with a reversible USB Type-C port for any-way-up connections and quick data transfers. Additionally, this laptop offers USB 3.1, USB 2.0 ports, an HDMI port, and an SD card slot to provide you hassle-free compatibility. The ASUS Battery Health Charging technology lets you set the State of Charge to either 60% or 80% to help prolong the battery’s lifespan and to reduce the chance of battery swelling. Price and Offers: The actual price of the laptop is 58,990. Flipkart is offering a 28% discount which makes you save Rs.17,000. Therefore, the final price of the product is Rs.41,990. No cost EMI, Rs.6,999 per month. Standard EMI also available on all major banks. Get 10% discount with HDFC Bank debit and credit cards. You can get extra Rs.2,500 on HDFC Bank Debit/Credit and EMI transactions. This sleek and stylish laptop is powered by the 8th Gen Intel Core i3 Processor along with 8 GB RAM, offers fast processing and lag-free performance. Also, the 256 GB SSD and 1TB HDD ensure that you can store a large number of files, photos, and videos. 2 years onsite and domestic warranty. With an 18.8 mm profile and weighing 1.4 kg, this laptop features an integrated touchpad fingerprint sensor and Windows Hello support. Asus VivoBook S14 features the ASUS Splendid visual optimization technology to improve the visual quality as per the content. There are four modes: normal mode, eye care mode, vivid mode, and manual mode. The normal mode is for regular work. The vivid mode offers improved videos by optimizing the contrast. The eyecare mode allows you to reduce blue light levels which helps to reduce strain on your eyes and with manual mode you can personalize the color adjustments. The actual price of the laptop is Rs.68,990. Flipkart is offering a discount of 27% which makes you save Rs.19,000. Therefore, the final price of the laptop is Rs.49,990. No Cost EMI with Rs. 8,332 a month. Additionally, you can get Rs. 14,000 off (price inclusive of discount). You can get extra Rs. 2500 on HDFC Bank Debit/ Credit and EMI transactions. If you need help, you can talk to Asus customer support on 1800-2090365. 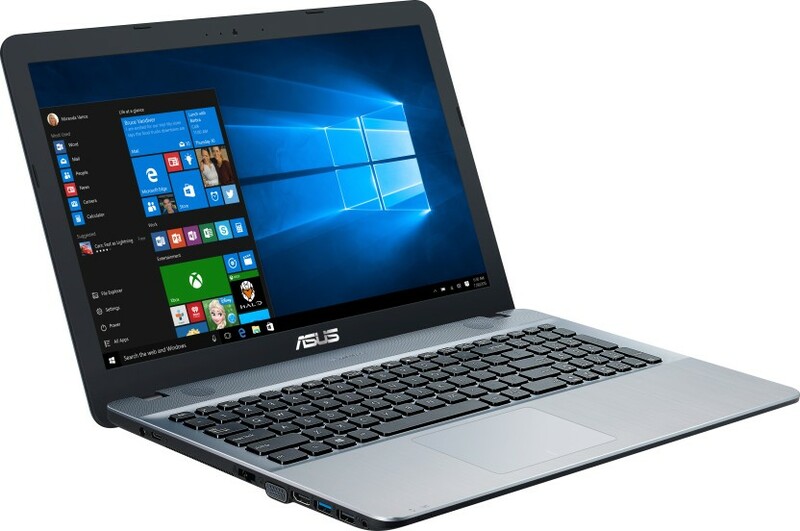 Powered by an Intel i5 8th Gen Processor and 8GB RAM, Asus VivoBook S14 Core features 35.56 cm (14) full HD NanoEdge display and ergonomic backlit keyboard. It is a lightweight laptop that you can carry to classes and conferences. Its ultra-thin profile makes it portable. This laptop comes with a USB 3.1 with reversible USB Type-C ports, USB 3.1, USB 2.0, HDMI ports, and SD card slot. This laptop runs on windows 10 and it features an integrated touchpad fingerprint sensor and Windows Hello support, a way to sign in to your Windows 10 devices with just a look or a touch.. This laptop comes with a long-lasting battery that lets you work for hours on a standby mode.